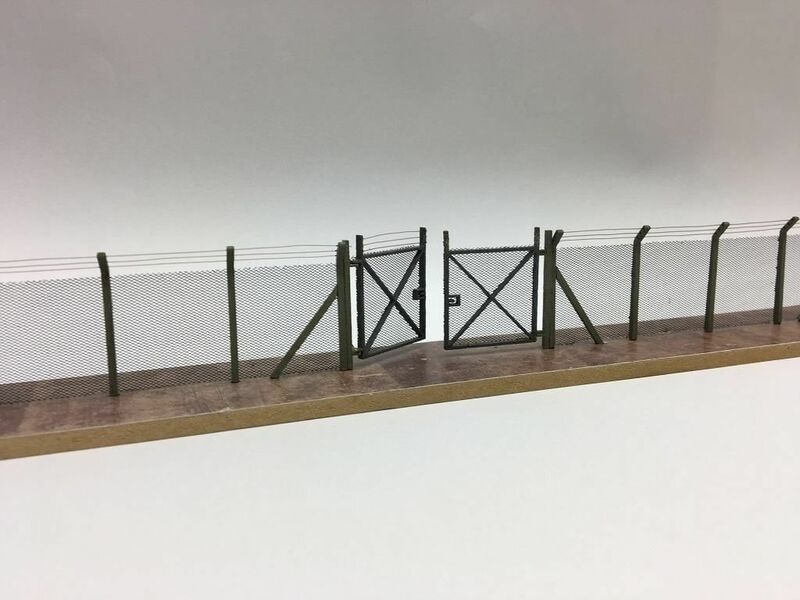 A self assembly laser cut OO scale Chain Link Security Fencing kit with a wide range of uses on your model railway layout or 1:76 diecast diorama. 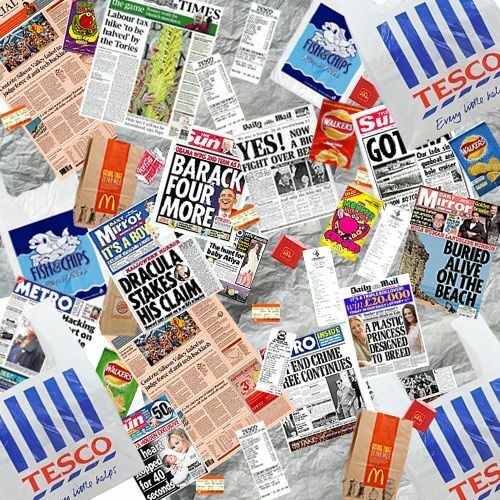 Ideal for use around industrial scenes, factories, car parks and more! Builds up to just over 100cm of fencing plus two small personnel gates & a pair of larger gates for vehicle entrances etc. Available with a choice of either straight or crank-top posts (crank top version shown in pictures above). Full instructions included. Packs include fine black / grey nylon mesh for the chain link. Crank-top version also includes fishing line to represent the barbed wire. Can be painted using artists acrylics or spray paints. Some modelling experience is necessary to assemble this kit due to small parts. Full instructions included.Note: Attaching the barbed wire (fishing line) to the top of the gates is quite a delicate operation and is therefore optional. Picture shows one gate with and one without. Fence posts Laser Cut from high quality 1.5mm plywood - You only need a knife to gently release the parts from the sheet... all cutting is done for you! Builds just over 1 metre of fencing plus 2 small gates and 2 large gates. Enough fine mesh & fishing line included to build just over 1 metre of fencing. Deluxe Materials SuperPhatic Glue (Recommended) - A fine tipped applicator is essential. Bought 2 sets for a future project, quick service and delivery. When the items arrived I was impressed with the detail as I have never had a laser cut kit before. Will soon be looking at more items. Well impressed by the quality and the very quick turn round time. Recommended to all. Probably the best and most realistic fence on the market. Brilliant service too and definitely recommend! I have not started this kit yet looks fantastic .I will watch the you tube video again before building the kit.